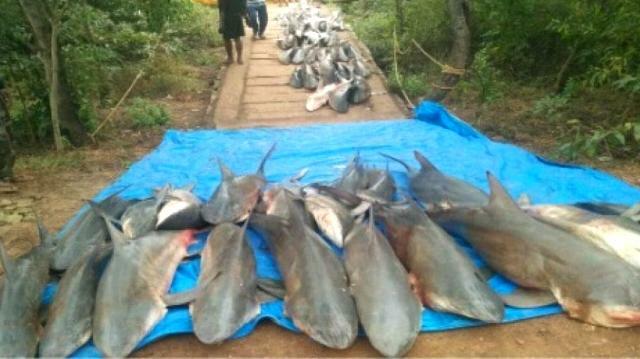 ONI Bureau: The Indian Coast Guard on late Tuesday night seized an illegal fishing trawler carrying around 250 endangered baby dead sharks near Gahiramatha Marine Sanctuary in Kendrapara district. The Officials also arrested seven fishermen. They were booked under the provisions of the Wild Life (Protection) Act, 1972 for poaching the marine species. As per the report, each shark weighing around 35 to 45 kilograms.